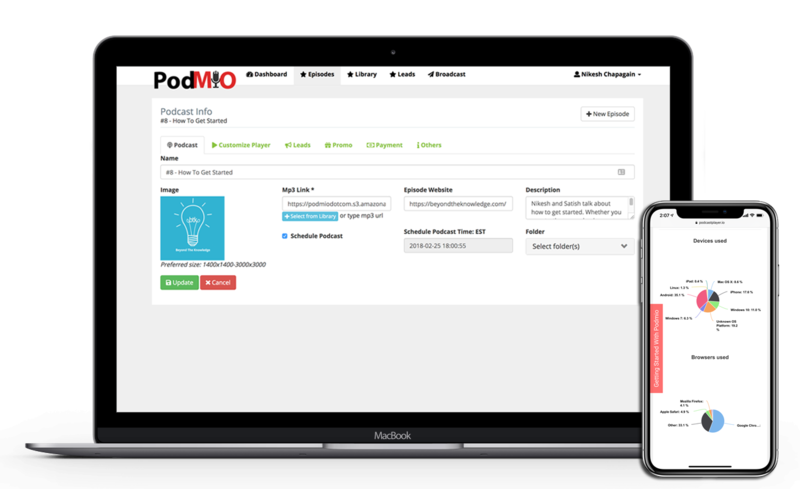 Podmio makes it easy for you to publish and distribute your podcast on the internet, helping you grow faster and better. Podmio is world’s #1 podcasting platform that has everything you need for a podcaster of any level at an affordable price. Unlimited audio storage & Unlimited bandwidth for your podcasts. Embed a responsive podcast player that is built with revenue & promotion in mind. Interchangeable advertisement that’s guaranteed to generate revenue. Automatically generate an attractive ready-to-go podcast website for all your listeners. Own your subscribers! Capture your subscribers’ name & email instantly from the podcast player. Send or Schedule mass emails to your subscribers or leads directly from your Podmio Account. Accept one time or recurring payments from your listeners with 1 click via computer or mobile device. Most powerful Analytics to help you get more sponsors & move ahead in the podcasting business. Generate Compatible RSS feed for iTunes, Google, Spotify, Stitcher, Mobile Apps & More! All your audio is distributed to servers all around the globe with the help of Amazon Cloud Front. With just 1 Click, you can schedule podcasts to be published in future. 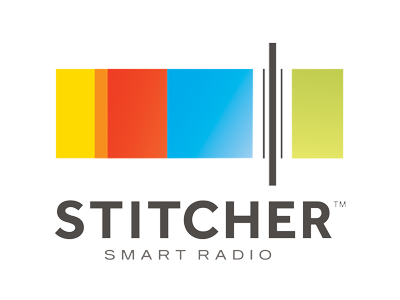 Allow listeners to share your podcast episodes in social media networks easily. Unlike other companies, Podmio allows you to host Unlimited # of Shows/Podcasts. You can embed auto updating playlist on your website or a single episode player. Payment module allows you to accept one time payments & Recurring payments from your listeners. No more stale ads for your episodes. Easily add unlimited advertisement & change them as often as you like. Finally, You can capture your subscriber’s information from your podcast player on your website. It will even send them your custom introductory email. Powerful Analytics To Help You Succeed In Podcasting! We provide detailed information about your listeners that’s going to help you get more sponsors & improve your podcasts. Will I pay anything higher than $19 per month? No, You will never be charged over $19 per month. This is a locked fee. Can I switch from another company easily? Yes, You can import all your episodes, images, metadata etc with 1 click. What if I don’t like Podmio? If you cancel within 30 days of purchase, you will receive full refund. Will new features cost extra? No, All future features are included on your account. No extra fees. We offer email & phone support. Phone support is provided with appointment. How accurate is your Analytics? 2018 © Podmio. All rights reserved.